‘The Real Food Podcast’ and ‘No SugarCoat’ use the medium to delicious effect. If you watch TV at all, you’ve probably watched a food show. Maybe it was one of those Discovery channel documentaries that showed you dhabas around the country. Perhaps it featured foul-mouthed chefs or polite British people running cooking competitions. Or maybe you just like watching Tasty-style “recipe videos”. Whatever the format, it’s clear that people like watching others make or talk about food. Is that true for audio too? Cooking competitions may not exactly work well for the medium, and although recipe shows exist, you would probably prefer skimming text if want one. But the first category – documentaries that take a deep dive into food, conversations that use what we eat to understand culture and interviews that draw out a person’s background through their cooking – is thriving. One of India’s best and most consistent podcasts covers exactly this territory. Food writer Vikram Doctor hosts The Real Food Podcast*, which offers short 15-20 minute explorations of everything from the flavours of Indian honey to why every Indian community claims it makes the best papad. This isn’t an “exotic food” podcast. While Doctor has occasionally looked at the cuisine of a specific community, most of the stories are about things that we would consider much more mundane. Here are the subjects of the first five episodes: the Alphonso Mango, Marie Biscuits, Amul, eggs and Bombay Duck. In each case, Doctor tells the story of how items like these have come to define a certain kind of Indian eating experience or what they tell us about Indian society. The episode on idlis, for example, is as much about how technology and even marketing has helped spread the South Indian dish as it is about the staple itself. Doctor explains how at one time idlis were confined to South Indian households that could grind the batter, ferment it overnight and then carefully steam it to produce the perfect fluffy specimen. But then two technological innovations turned up: the commercial mixer-grinders, which reduced the amount of effort it took to prepare the batter, and pressure cookers with idli trays, which suddenly made the steaming process incredibly easy. Voila, an idli can now be made in practically any kitchen, with the spread of readymade batter making it even easier. The Real Food Podcast offers a 15-20 minute dive into Indian food, with history, conversations and trivia. No SugarCoat gives you 40-minute conversations with people from across the food industry. The legend of the Alphonso Mango: Vikram Doctor traces the lineage of India’s most famous mango, and explains why it might not remain sweet forever. Is India falling out of love with Old Monk: Doctor tells us how the sweet rum became a cult hit and why nostalgia won’t be enough for it to survive. Chivda, from the Shahs to the Queen: The Real Food Podcast looks at how the ‘Bombay mix’ traveled the world. Pablo Naranjo Agular: Pooja Dhingra speaks to her Colombian colleague about what cooking meant to him as a child and how he adapted to working first in Paris and then India. Maunika Gowardhan: No SugarCoat features a UK-based chef and writer with a bestselling Indian cookbook. 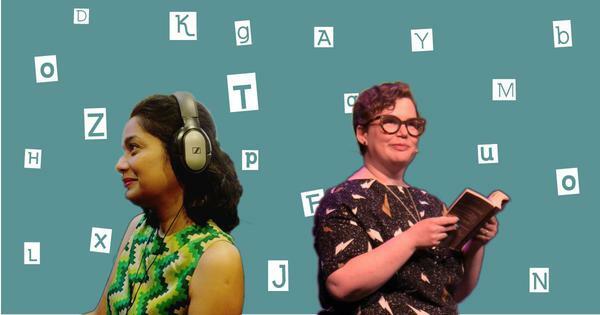 Pooja Dhingra’s younger podcast presents a very different approach to talking about food. Where Doctor tells you the story of the food itself, No SugarCoat is more interested in the people who make it. Dhingra is a pastry chef who, from having studied at Le Cordon Blue in Paris and then running the Le15 Patisserie in Mumbai, has come across a host of chefs or people connected to the food industry with fascinating stories to tell. Each episode, usually about 40 minutes or so, is a long conversation with one of these people like chef Thomas Zacharias from The Bombay Canteen or Matt Chitharanjan, one of the founders of Blue Tokai Coffee Roasters. The episodes can occasionally meander – Dhingra is as interested in the backgrounds of those she interviews, so the conversation is not always about food – but each offers fascinating insight into an industry that is expected to be both creative and ruthlessly commercial. The very first episode, in which Dhingra speaks to her colleague Pablo Naranjo Agular, the chef at Le 15 Cafe, is a great introduction to the show. This is in part because of how well the two know each other, but also because of Agular’s global journey – from Colombia to Le Cordon Bleu in Paris to Mumbai, where he discovered that meat in India can be delivered in the backpack of someone who has been riding a motorbike for an hour in 40-degree weather. Beyond Indian borders there is plenty to dip into if you still want more food talk. Gastropod is similar to Vikram Doctor’s show, taking you into the world of food through the lens of science and history. Burnt Toast looks at the intersection of food and culture. The Sporkful is more interested in minutiae. And Racist Sandwich examines the meeting point of food, race, class and gender. 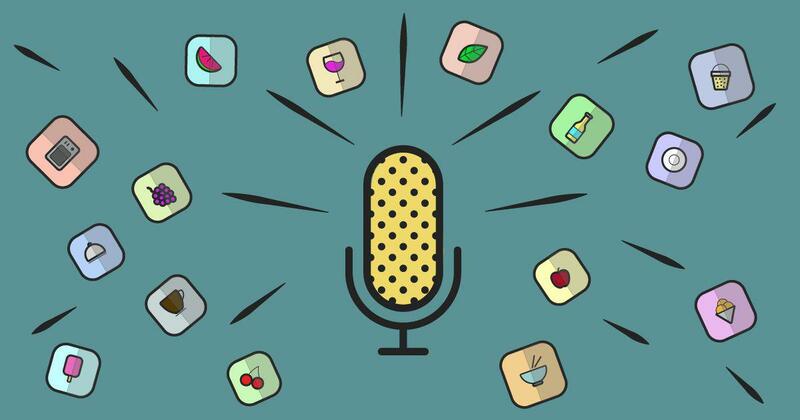 Are there food podcasts that you enjoy listening to? Tell me about them at rohan@scroll.in. Podcast picks is a fortnightly column that highlights interesting podcasts and covers the industry. Read earlier columns here. *The Real Food Podcast was produced by Audiomatic, which was co-founded by Rajesh Tahil, who is now Chief Operating Officer, Scroll.in.